Bone tissue is a structure with a high level of geometrical complexity as a result of mutual distribution of a large number of pores and bone scaffolds. For the study of the mechanical properties of the bone, there is a demand to generated microstructures comparable to trabecular bone with similar characteristics. Internal structure of the trabecular and compact bone has a high impact of their mechanical and biological character. The novel methodology for the definition of three-dimensional geometries with the properties similar to natural bone is presented. An algorithm uses a set of parameters to characterize ellipsoids computed based on Finite Element Method (FEM). A comparative analysis of real trabecular bone samples and the corresponding generated models is presented. Additional validation schemas are proposed. 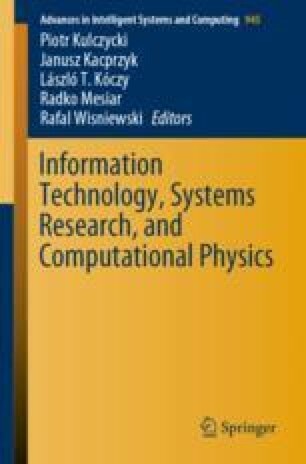 It is concluded that computer-aided modelling appears to be an important tool in the study of the mechanical behavior of bone microstructure. This work was partially financed by the Faculty of Physics and Applied Computer Science AGH. Adrian Wit has been partly supported by the EU Project POWR.03.02.00-00-I004/16.